Vaahan caught up with one of the most inspiring and dynamic Members of the House of Lords, Lord Gadhia, to find out more about his journey, his great initiatives and all things India and Brexit! It was a huge privilege and responsibility to have been nominated by David Cameron to join the House of Lords. A peerage is a job, a call of duty – not simply an honour. You’re the first member of Parliament to swear an oath on the Rig Veda, what made you choose the Rig Veda over other religious scriptures? The Rig Veda is one of the oldest scriptures in the world and the very first of the four ancient Vedic texts. I chose the Rig Veda to swear my oath because it represents the origins of Hindu belief, values and wisdom. Being anchored in a set of timeless values provides a sense of perspective and balance. I believe that both Dharma (right conduct) and Karma (you reap what you sow) are good ways to approach every aspect of life – be they personal, political or business relationships. If you do your duty then everything else will fall into place. In the political world this philosophy is sometimes considered as naïve. But we need to change that mindset and encourage more people to get on with doing the right thing. How does it feel being the youngest Indian in the House of Lords? It was a huge privilege and responsibility to have been nominated by David Cameron to join the House of Lords. A peerage is a job, a call of duty – not simply an honour. I joined Parliament in 2016 at a defining moment in British history, as we have grappled with the new realities facing the UK with Brexit. We still remain at a crossroads as a nation in defining our future relationship with the EU. As one of the younger members of the House of Lords, the dilemmas and trade-offs involved in Brexit are even more meaningful as I will hopefully be around for several decades and in a position to see how our decisions today will impact upon future generations. What can you tell those who aspire to follow in your footsteps? I would say it is very important to learn from every experience in life. For instance, the quality of experience which I gained working at Barings in the corporate finance team during the 1990s has been an enduring influence throughout my subsequent career. I had the best training possible and worked with some outstanding individuals who have gone onto excel in different roles. My experience at Barings taught me how to balance the “Telescope” and “Microscope”. It is important to see the big picture and strategic landscape but also understand the details and fundamentals from the bottom-up. So I would say it is important to get an all-round experience of life – through the lows and highs, which can stand you in good stead later down the line in your career. Being an active listener and being open to new ideas have always served me well. How was the transition from being in the banking industry to joining politics? I would consider myself as a Parliamentarian rather than Politician, as I still continue to juggle a healthy mix of public and private roles and enjoy the variety and intellectual challenge involved in addressing some big complicated issues across the realms of both public policy and business. Our Parliamentary system doesn’t operate on raw power but on influence. It is important to know how the system works and how to get things done. I prefer contributing to the substance and finding solutions for big public policy issues rather than add to the “noise” and “political posturing” in Parliament. For example, I have served on the Panel reviewing build-out rates and so-called land-banking by housebuilders, chaired by the respected former Cabinet minister Sir Oliver Letwin MP, which made recommendations to the Chancellor in time for the Autumn budget. Housing is one of the most important issues facing the country and so being able to help find ways to accelerate house building is a great area to contribute towards. In terms of community-based activities, over the past year, I have established a network of professional networks called the “Multicultural Professional Networks Forum” which gathers leaders of various workplace affinity groups, such as Hindu, Indian or BME groups, and allows them to share best practice, develop mentoring capabilities and provides a platform for advocacy. This forum now includes over 65 organisations, who employ 3.5 million people around the world. Britain is going through a tumultuous time with Brexit, what are your views on Brexit and the current negotiated deal with the EU? There is a greater degree of uncertainty and increased risk of Parliamentary deadlock for any option. The timetable is not guaranteed and might be extended again by design or necessity, but what is ​certain is that Britain will become a rule taker in accessing the EU single market, especially for goods. It is less than an ideal outcome, but we should take comfort from any scenario that avoids a no deal, which remains the worst possible scenario for both sides. Another referendum would require passing primary legislation and involve another divisive campaign in an already deeply divided country, so is not an easy option either. How will Brexit effect the banking industry? Financial and professional services represent our flagship export sector, generating a combined trade surplus of £83 billion, contributing £72 billion in tax revenues, which pays for essential public services and accounts for 2.2 million jobs, two-thirds of which are outside London. While the complex City ecosystem is difficult to replicate and usurp, we should not be complacent either. Our position is hard won over decades and should not be traded off lightly against misguided fears of immigration. Sacrificing a sector where we have a natural competitive advantage, which generates significant tax revenues to pay for public services and which underpins aspiration for so many, would be a triple travesty. According to some estimates, a quarter of the financial services sector’s annual revenue comes from business related to the EU. The Institute for Fiscal Studies calculates that EU business is particularly important in banking and investment, with over 40% of UK exports in these areas heading to the continent. Many overseas banks have made the UK their European headquarters because of its access to the EU market. But the relationship works both ways: London is the world’s leading financial centre, with no European alternative able to match it. The likes of PWC have emphasised that many European businesses rely on the UK to fulfil their financial requirements – so it need not be all doom and gloom. Nevertheless, you cannot hide away from the fact that, in the absence of Passporting, Brexit will lead to “split platforms” in financial services and we should work to mitigate that impact by creating an equivalence regime which provides as much certainty as possible for financial services firms. You recently launched a Khadi Poppy, tell us a bit of background behind the scheme and the campaign to commemorate Indian soldiers fighting for the UK? I felt it was important that we all recognise the immense contribution made by India and the Commonwealth during World War One, especially in this important centenary year. The Khadi Poppy does this perfectly and I have been working with the Royal British Legion for a while in bringing this idea to fruition – so it has been humbling to see the positive response from so many people. As you know, Khadi is homespun cotton, made famous by Mahatma Gandhi. During India’s freedom struggle, Gandhi promoted the use of a spinning wheel to make India more self-sufficient and to support rural employment. The resulting hand-woven fabric became synonymous with India’s independence movement. Although many associate Gandhi with non-violence and vigorously opposing the British Raj, his behaviour during World War I was highly revealing. Instead of exploiting Britain’s vulnerability, he said: “it was our duty to win their help by standing by them in their hour of need”. The Khadi Poppy invokes the courageous solidarity of Mahatma Gandhi in challenging circumstances when he would have faced considerable opposition. This special poppy has not been created to simply separate out the South Asian contribution to the war effort. To the contrary, the Khadi Poppy is designed in every possible way to look like the poppies we wear in Britain every year. 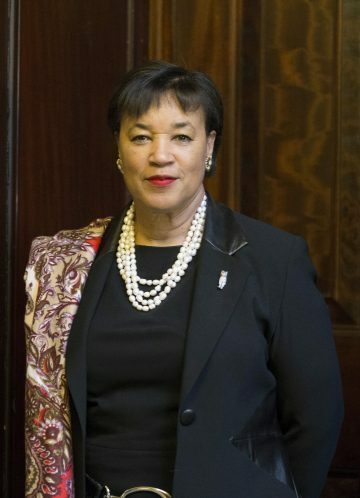 Therein lies its beauty – it is the ability to appreciate the contribution from the Commonwealth and South Asia, but yet simultaneously integrate and embed this within the collective remembrance by the whole nation. It does not seek to single out just one group but remembers everyone: it is a unifying symbol for us all. You played a role in Indian Prime Minister Modi’s visits and have led delegations to India. What do you envisage to be the future of UK-Indo relations and what are your views on the Indian Election next year? 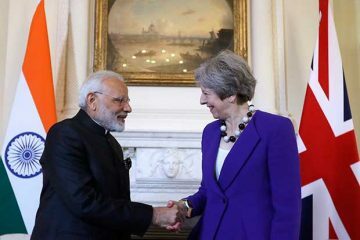 It is no exaggeration to say that the next decade for Britain will be dominated by Brexit and therefore the bilateral relationship with India will be framed in this context. It is a defining moment in British history as we grapple with these new realities. We stand at a crossroads for the UK and its future relationship with the rest of the world. In this context, I hope that India will view us as: “a friend in need is a friend indeed” and recognise both the necessities and opportunities opened up by our departure from the European Union. The UK clearly needs to demonstrate some “quick wins” as it seeks to expand bilateral trade outside the current EU framework and this provides a golden opportunity for India to break the impasse of the EU-India Free Trade Treaty. We also need to constantly work on the relationship and can’t be complacent. A respected Indian businessman described the UK-India relationship to me as being like a long-married couple. We are so familiar with each other that it is easy to take each other for granted and sometimes we need to find new sparks to revive the relationship. I hope some of us can encourage those new sparks. In relation to the upcoming elections in India, if the BJP loses its majority and needs to form a coalition then things could certainly change if the price of forming the coalition is a change of leader. Discontinuity would create uncertainty. However, assuming a level of continuity, the next Indian Government should take an early opportunity to accelerate reforms and improve governance. I was present in India on 8 November 2016 when Prime Minister Modi announced his bold demonetisation initiative. Having accompanied Prime Minister Theresa May to India immediately beforehand, and coupled with Donald Trump’s unexpected election victory immediately afterwards, it made for a highly memorable week. I have also seen Modi up-close as Chief Minister of Gujarat and negotiated the terms of significant corporate investments into the state, in fierce competition with other locations. The comparison was highly instructive. Unlike any of his peer group, Modi the Chief Minister, was more akin to a Chief Executive. In total command, leading from the front and supported by an executive team of highly able and motivated administrators. The strategic vision was backed by a slick execution capability. Modi the Prime Minister, in comparison, has always felt shackled by bureaucratic inertia and a political straightjacket. With the demonetisation move and other reforms, such as GST and improvements in the ease of doing business, we have finally started to see signs that the original, undiluted, Modi is back. However, the central execution capability in Delhi still needs work to match the dynamism of his previous machinery in Gujarat. Before Modi was selected as the BJP’s Prime Ministerial candidate, I had the pleasure of visiting him in Gujarat, in June 2013, together with my friend and now fellow Peer in the House of Lords, Jim O’Neill – former Chief Economist of Goldman Sachs – who is famous for coining the BRIC acronym. We went on a 48-hour trip to Ahmedabad to discuss with Modi how to achieve India’s full economic potential. We elaborated on 10 policy recommendations with “Governance” at the top of the list acting as the enabler for everything else. During the Vibrant Gujarat Lecture that marked our trip, Modi spoke for the first time openly about some of his own signature policy themes and also emphasised the journey from “Minimum Government to Maximum Governance”. 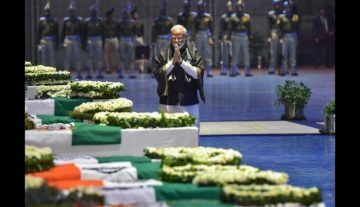 It is clear that Modi has not lost sight of that journey and, when we look back, the demonetisation initiative and other accelerated reforms – such as tackling non-performing loans in the banking sector and reforming bankruptcy procedures – may prove to be a turning point for both Modi and India. Lord Jitesh Gadhia is an investment banker and businessman, who was appointed to the House of Lords just over two years ago in September 2016. 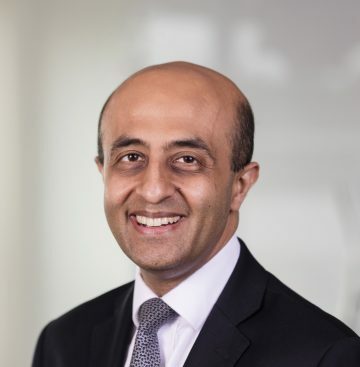 During his City career, spanning over 25 years, Lord Gadhia has worked with three major banks: Barings, ABN AMRO and Barclays before joining Blackstone, the world’s largest alternative asset management firm, where he was a Senior Managing Director. He has extensive experience of advising on complex, often cross-border, M&A and capital raisings across a wide range of industry sectors. 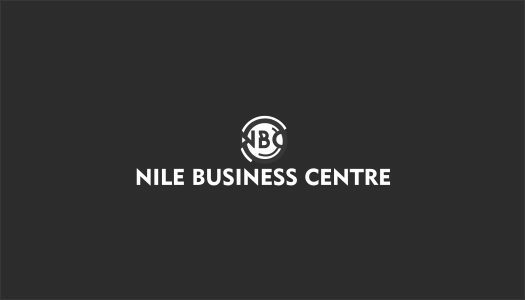 He has provided strategic, financial and corporate governance advice to a large number of companies: European based as well as international. Lord Gadhia is a Board Member of UK Government Investments, the centre of excellence for corporate finance and corporate governance for the UK Government, managing major taxpayer-owned assets including Royal Bank of Scotland. Lord Gadhia currently serves as Chairman of Compare The Market, the UK’s leading price comparison website for financial products and household services. He was educated at Cambridge University, where he read Economics, and the London Business School, where he was a Sloan Fellow in Management.